Clifton Green is a thriving primary School in York, where children not only have high achievement but experience opportunities that enrich their lives. History and culture is on our doorstep. The city centre of York is only a short walk away and is an integral part of children’s heritage and education at Clifton Green. 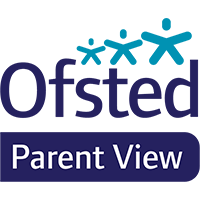 Families are fully involved in every day school life as well as special events and this mutual support is vital to everything we do and achieve. Our school is at the heart of the community, we are proud to live, learn and work in Clifton. These seven key values underpin our School motto, ‘Better Never Stops’ which is part of the legacy of the London 2012 Olympics. Our school has a large Nursery which provides morning or afternoon sessions for 3 and 4 year old children and two parallel classes in each year group from Reception to Year 6. There are around 400 pupils attending the school supported by 60 staff.